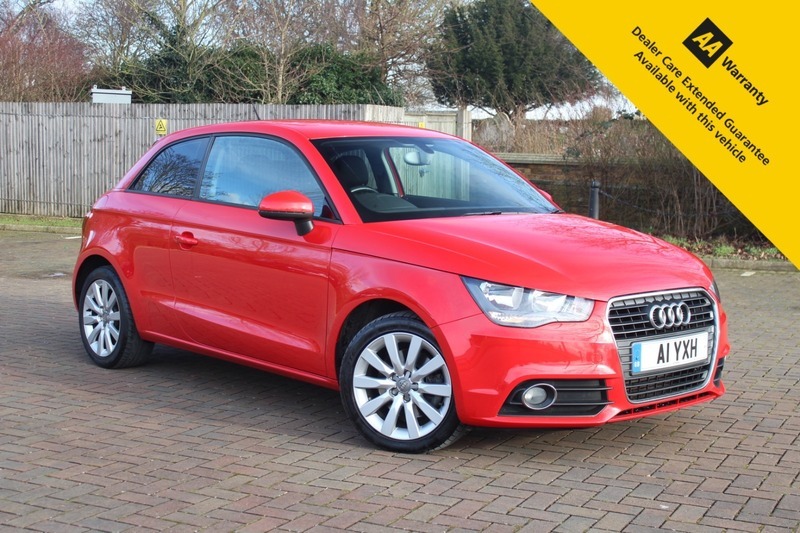 Here for sale at Leigh Cars Ltd we are delighted to present this impressive LOW MILEAGE Audi A1 3dr Sport Tdi. The Sport model comes with an unrivalled specification list including electric windows and mirrors, climate control, auto lights + wipers, cruise control, bluetooth connectivity + voice control command, alloys + much much more. This beautiful example has an ADVISORY FREE MOT - EXPIRY SEPTEMBER 2019. This fine example comes with 2 fully working remote keys and is finished in the brilliant bright red paint and is in immaculate condition inside and out. The vehicle comes with service history including invoices for NEW CAM BELT REPLACED BY SOUTHEND AUDI @ 39k. This car is perfect for someone looking for a fun hatchback with low running costs and German reliability, or maybe someone who needs a car for the daily commute. This car is ZERO to tax and will return you an average of 74.3mpg, so is extremely economical to run for and it truly is a SUPERB DRIVE with the turbo powered Audi 1.6 diesel engine.